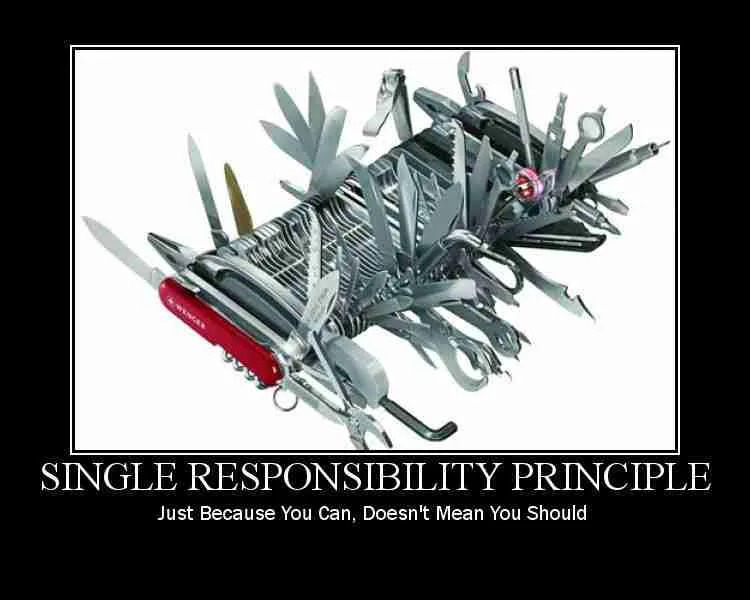 » Single Responsibility Principle: Is It a Fundamental Mistake? This is understandable, especially since it’s basically the name of the SRP. But what is “one thing”? Some people, eager to apply “a principle,” keep drilling down further and further. We extract more and more classes, pursuing some ideal of “one thing.” It’s almost like you don’t reach SRP until you can’t subdivide it any further. New members to the team feel lost in the codebase. I have no idea how to implement a feature while sticking to the team’s prescribed architecture. Changing an existing feature requires stepping through with a debugger just to figure out what does what. What is “one thing” anyway? You can describe everything a design element (method, class, module, …) does — at a reasonable level of abstraction — as a single, coherent thing. The key is to focus on a specific level of abstraction, and operate solely within that level. Some confusion probably comes from the difference between extracting methods and extracting classes. How big should a function be? Four lines is okay, maybe five. Six… okay. Ten is way too big. How is that even possible? We can do this by constraining our functions to just one level of abstraction. Does anyone remember when we called helper functions “subroutines”? Helper routines live sub — below — the current level of abstraction. When I extract methods, I’m starting with a bottom-up design. The original method has lots of details. These details may have multiple scopes — that is, it’s clearly one detail followed by a separate detail. Or the details express multiple levels of abstraction. What I want is to end up with code that looks as if I had done top-down design. I want well-named things at a higher level, calling well-named things at a lower level. But so far, we haven’t really talked about objects. Where do classes come in? A class is a collection of methods, together with data on which those methods operate. This brings us to an important concept: Cohesion. Cohesion expresses “how closely related are these pieces of code?” In a class, the more each method uses the same instance variables, the more cohesive the class is. Pick one of your larger classes. Look at how many instance variables it has. Are they really all related? I suspect that there are clusters. Are you looking at disjoint sets? If you can look at a class’s instance variables, and identify a subset of them that that hang together well, you’re looking at a class that ought to be split up. To fix that, apply the Extract Class refactoring. It’s described in the Refactoring book. But what happens when people take Extract Class too far? We can see this in classes that pass the same data deeper and deeper. We now want to add conditional code to C: perhaps an if statement, perhaps a switch statement. This condition is based on a new argument. But this new argument comes from A. The lazy way is to have B (and any other intermediaries) pass this argument along. Depending on the new argument, I want different behavior. The naive approach, “Just add a conditional,” creates complexity. It’s easy to fall into this trap when we forget that there are ways to eliminate conditionals. The important thing is that if code is decomposed to the point that the breakdown is actually interfering with work, don’t just complain. Change it! Over-architecture is the result of taking a reasonable practice too far. But you usually don’t discover where “too far” is until you get there. That’s natural and okay. Once you notice, refactor in the other direction. When we over-architect, we apply one principle, at the expense of other principles. We forget that there are other balancing forces. These are in priority order. Notice how the last one pushes back against over-extraction. But you can’t plan these up front. Design is a process of discovery. Then how should we extract classes? This brings us to another important concept that’s often discussed together with Cohesion: Coupling. A depends on B, which in turn depends on C. Things are particularly bad when changes have to ripple from one class to the next. Such design goes against agility, because the code is resisting change. It is almost always incorrect to begin the decomposition of a system into modules on the basis of a flowchart. We propose instead that one begins with a list of difficult design decisions or design decisions which are likely to change. Each module is then designed to hide such a decision from the others. Of course, any valid technological change has an underlying business need. But considering them separately will help us better imagine the possible changes. Whatever the source of change, change is a given. The question is, how well does our code accommodate those changes? We can only be as agile as our code lets us be. We can only be as agile as our code lets us be. What are ways this might change due to a business requirement? What are ways this might change due to a technological requirement? Then ask, would our current modules hide these changes? How easy is it to isolate those changes? If you’re making changes in code that’s spread too thin, ask yourself: “Can we collapse this unnecessarily spread-out decomposition? What’s the name of this code smell?” Then look up refactoring moves that will lead to simpler design. What we all need to learn is how to write code that “responds to change.” To me, that’s the heart of the SRP. What are some examples of types of changes you’ve had to make to your code? Please share in the comments below! Real-life examples will help us all improve our SRP. 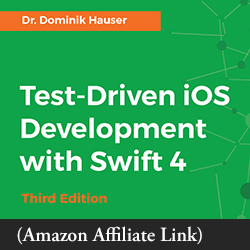 Previous Post Automatically Generate Swift tearDown with This AppCode Plugin Next Post Where Will Jon Be in Fall 2017? As for me all my programming experience leads me to the rule that “there always should be enough of this great technique” and “there are always some tradeoffs when following this rule”. No matter what technique or rule you are following.